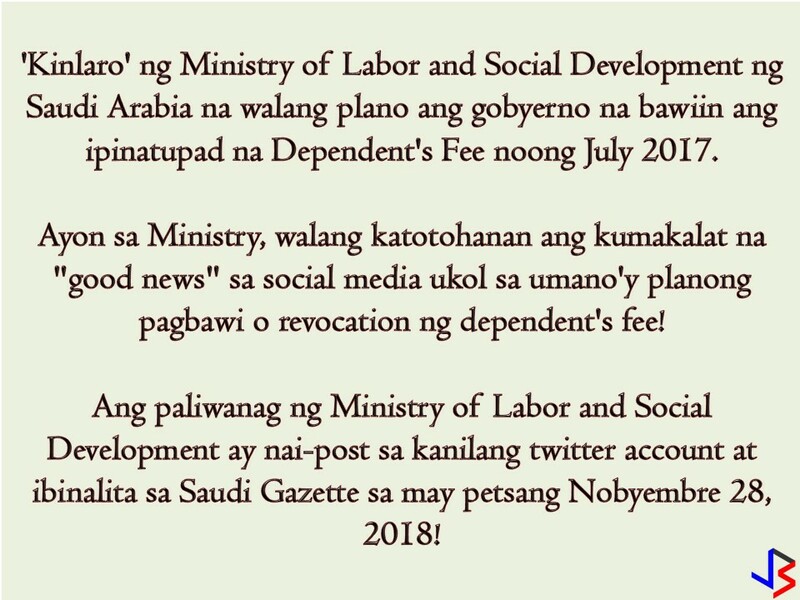 Are you one of those expatriate workers in Saudi Arabia who got excited about "Good News" circulating on social media recently with regards to the revocation of dependents' fee in the Kingdom? Well, officials in Saudi Arabia dismissed that "Good News" as false report! Authorities in the Kingdom made it clear that there is no plan to revoke dependents' fee. According to the Ministry of Labor and Social Development on an article published in the Saudi Gazette dated November 28, it is stated that information making rounds in social media are far from the truth. This information is also posted on the ministry's twitter account! This is not the first time that rumors about dependents' fee will be revoked! The Kindom imposition of a fee on every expatriate's dependent was started July 2017. An amount of SR100 per dependent or companion per month is being implemented. And every year this will increase by SR100 till the fee reaches to SR400 per dependent per month in 2020. These dependents include the expats' first wife, male children under 18, and all female children. Aside from these, the same amount is also being collected to expats second wife, the third, and the fourth, in addition to the parents, relative-in-law, domestic laborers and every expat sponsored by the workers as a companion. 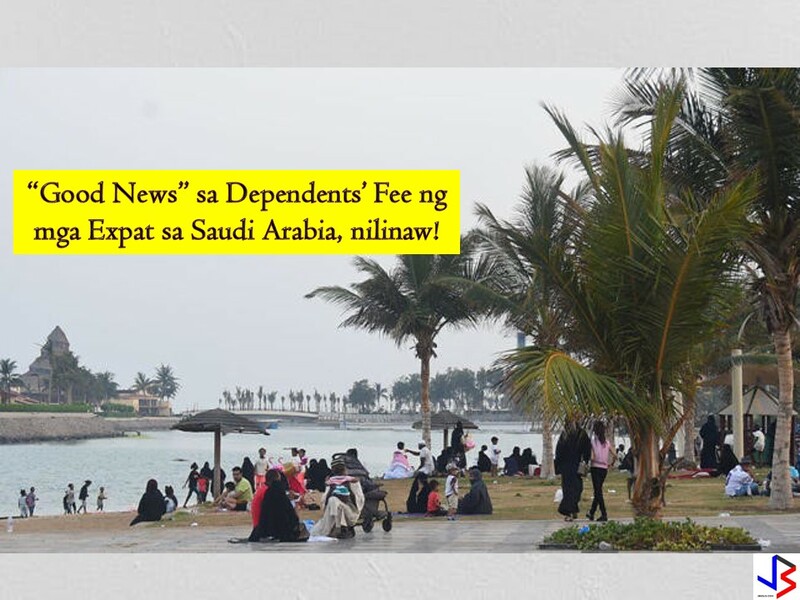 This article is filed under expatriate workers, Saudi Arabia, dependent's fee, ministry of labor, labor department, jobs abroad, hiring Filipino workers, Filipino workers. 7 Countries in Need of Filipino Cleaners!